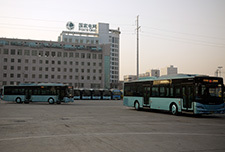 Under the guidance of the ADB East Asia Transport Division, especially Tyrrell Duncan initially and later Ki-Joon Kim, and the Lanzhou City Government, Far East Mobility consultants Karl Fjellstrom and Xiaomei Duan (from 2009) with Pedro Szasz, and (from 2011) Wenxuan Ma, Yipeng Du, Derek Trusler and Remi Jeanneret helped transform the Asian Development Bank’s transport project in Lanzhou from one focusing mainly on utility tunnels to one of Asia's highest capacity BRT corridors. 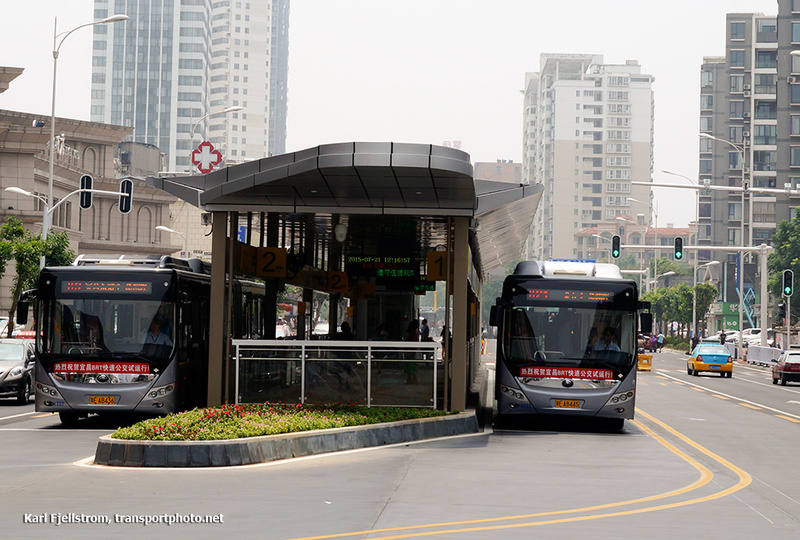 The Lanzhou BRT is the first BRT system based on a split station concept with BRT buses in the same direction stopping on both sides of a platform. 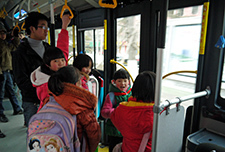 In May 2015 the system was averaging 309,000 daily passengers, and in 2014 a bike sharing system, in which Shanshan Li of ITDP played a leading planning role, was successfully implemented in Lanzhou, including along the BRT corridor. 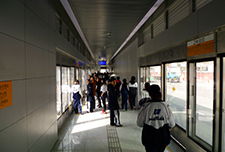 The Lanzhou BRT, an 8.6km corridor with 15 stations, was a runner-up for the 2014 Sustainable Transport Award, and has had a range of impressive impacts. Far East Mobility's Karl Fjellstrom led the preliminary planning and design work, initially under a consultant contract with the ADB and later via ITDP, and the Guangzhou Municipal Engineering Design and Research Institute (GMEDRI) led the engineering design, in which Xiaomei Duan and Wenxuan Ma (GMEDRI and Far East Mobility) and Yipeng Du (Far East Mobility) played important roles. Pedro Szasz provided key input during 2009 and 2010, helping to design intersections and define the station and operational approach. 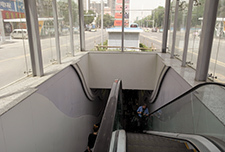 Derek Trusler provided key input to the BRT station architecture assisted by Li Wei of ITDP, though the station construction contractors fell short in several areas. 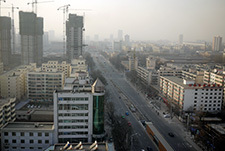 Remi Jeanneret worked extensively on the operational design, and also worked with Xianyuan Zhu of ITDP attempting to rectify issues in the early operation. 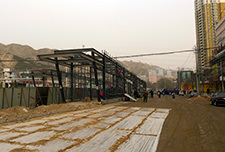 The Lanzhou BRT has an interesting history - to be completed.